Who needs 7nm when you can just go back to 28nm? WTF?! 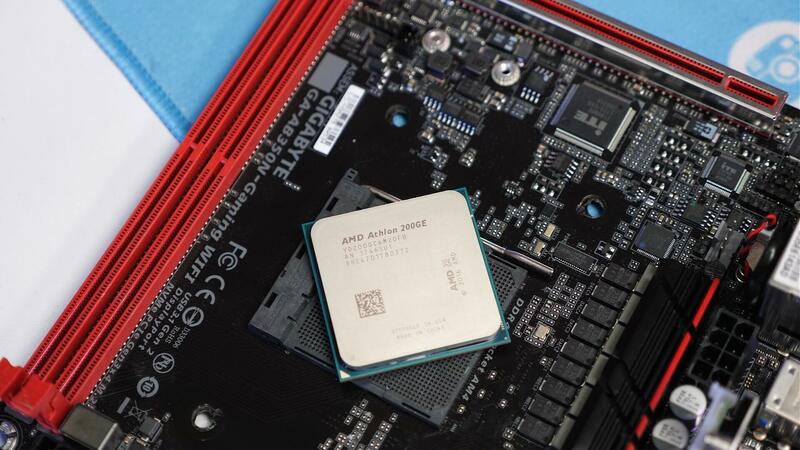 It sounds like a joke, but surprisingly, it’s true: meet the AMD A8-7680. Based on the now nearly five years old A8-7600 and launching on the nearly eight year old FM2+ socket, this will certainly be a chip that absolutely no one cares about. The chip was first suspected to be coming when Asrock updated their BIOS to support it on their A68H motherboards – though admittedly most people thought it was an error at the time. Just recently, however, an official AMD document began listing the device, and several online retailers have put it up for sale. Though at around $55, it comes up against the far more modern Athlon 200GE. According to its listings, the A8-7680 features four cores and four threads with a 3.5Ghz base clock and a whopping 3.8Ghz boost clock. It’s technically unlocked but there’s little hope of pushing it very far given its 28nm node, and notorious Excavator architecture. Only the base clock has been improved from the old A8-7600, and by a measly 400Mhz at that. Surprisingly, a large number of motherboards have actually updated their BIOS to support it, including the Asus A68HM-K, A68HM-Plus, Gigabyte F2A68HM-DS2 rev1.1, F2A68HM-H rev1.1, F2A68HM-S1 rev1.1, MSI A68HM-E33-v2, ASRock FM2A68M-HD+, and FM2A68M-DG3+. Technically, the chip is specced higher than the Athlon 200GE, which only features two cores at 3.2Ghz. So maybe it’ll be worth a buy. But really AMD, what's the point?